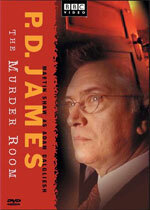 adapted as "The Murder Room"
Synopsis: The Dupayne, a small private museum in London devoted to the interwar years 1919 -- 1939, is in turmoil. As its trustees argue over whether it should be closed, one of them is brutally and mysteriously murdered. Yet even as Commander Adam Dalgliesh and his team proceed with their investigation, a second corpse is discovered. Someone in the Dupayne is prepared to kill and kill again. 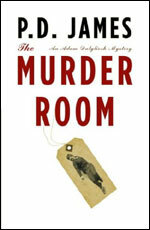 Still more sinister, the murders appear to echo the notorious crimes of the past featured in one of the museum’s galleries: the Murder Room. The case is fraught with danger and complications from the outset, but for Dalgliesh the complications are unexpectedly profound. His new relationship with Emma Lavenham is at a critical stage. Now, as he moves closer and closer to a solution to the puzzle, he finds himself driven further and further from commitment to the woman he loves.